A young population and high per-capita income coupled with key economic reforms in the UAE and Saudi Arabia make long-term investments in regional equity markets an attractive investment proposition, the world’s largest wealth manager said. UBS said in a report that consumer-driven companies operating in the Middle East’s healthcare, financial services, energy and tourism sectors, among others, would become a key investment target as the region’s economic transformation continues. The Swiss bank’s latest “Prosperity Beyond Oil” report on longer term investment trends in the region warns that a prolonged period of declining energy prices might cause reforms to stall, and a failure to absorb large and growing populations into the labour force could strain the process. 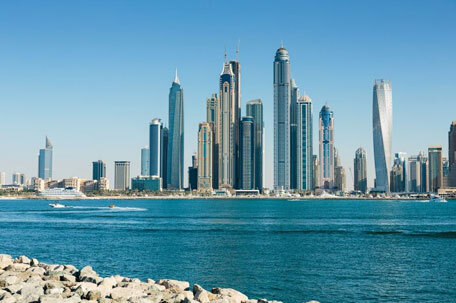 According to the bank, the UAE is one of the most “advanced countries in terms of its economic diversification”, benefiting from a stable political environment and substantial public foreign assets. Economists said along with the UAE, other GCC countries were compelled to speed up structural reforms to diversify their economies away from hydrocarbons, boost the role of the private sector, and create jobs for their rapidly growing labour forces. All countries in the region have embarked on significant deficit-reduction efforts as well as new revenue generating steps including value added tax to tide over the challenges posed by depleting oil income. Currently, only UAE and Qatar equity markets are included in the MSCI Emerging Markets Index. But economists believe that privatisation of public assets and the easing of foreign ownership restrictions are likely to accelerate the inclusion of additional regional markets over the next few years. In the case of Saudi Arabia, given the kingdom’s recent decision to open equity markets to foreign investors, the bank believes local Saudi Arabian stocks, which account for half of the regional stock market capitalisation, could be included in the MSCI Emerging Markets index by as early as mid-2017. “As regional transformation programmes gather momentum, the Middle East’s major economies present increasingly attractive non-oil, long-term investment opportunities,” said Ali Janoudi, UBS group head for the Middle East and North Africa. Michael Bolliger, head of Emerging Market Asset Allocation at UBS Wealth Management, said energy exports would remain an important source of growth and income for the years ahead, while the Middle East benefits from long term trends such as a growing population, increased urbanisation and – in select areas – aging, which offer attractive long-term opportunities for investors in the region that are less sensitive to political risks. According to Kamco Research, recovery in the GCC equity markets would be swifter in 2017, led by a faster pace of economic growth and corporate profitability that continues to remain resilient backed by higher government spending. “For 2017, we believe that corporate earnings would continue to remain a primary support for listed companies in the GCC, whereas oil prices are expected to remain range bound between $50 and $60 per barrel,” Kamco said a recent report. In 2016, trading activity on the GCC exchanges fell for the second consecutive year although the overall value traded saw a strong rebound in November and December 2016 on investor optimism related to oil output pact. Nevertheless, value of shares traded in the GCC was at a five-year low of $388.2 billion, according to Kamco. The UBS cites regional healthcare as a particularly attractive sector for investment, as it remains a spending priority for governments in the Gulf. The share of healthcare transactions in the region nearly tripled to 11 per cent of total deals in 2015 from four per cent in 2014, according to the Mena Private Equity Association. The report said investors are encouraged to gain exposure to the region in a diversified manner through several industries, such as real estate management, banks, construction, and infrastructure.